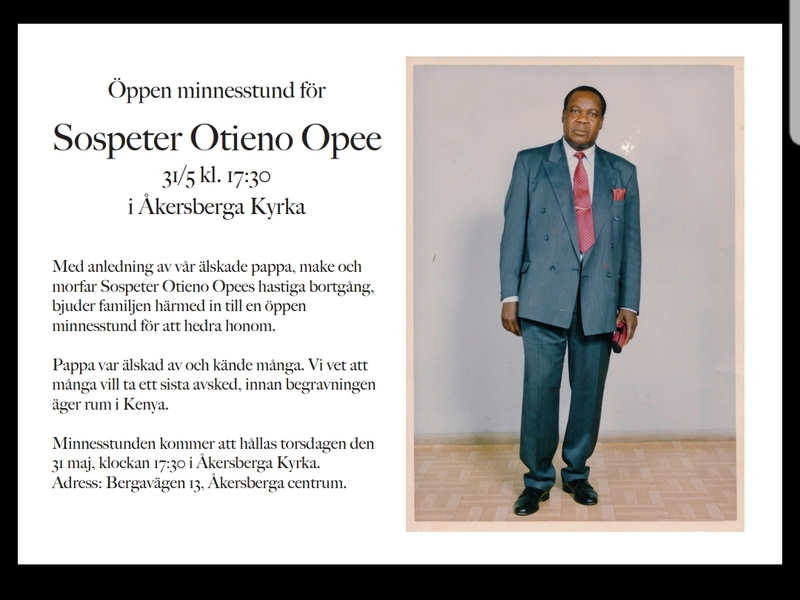 The family of the late Mzee Otieno Opee invites friends and well-wishers to a memorial service of on Thursday, 31st May 2018 from 17.30 hrs. The event will take place at Åkersberga Kyrka at Bergvägen 13 located at Åkersberga Centrum. Mzee Opee was loved by those who knew him while he also knew many people who would like to say farewell before his body is transported to Kenya for burial. All are welcome.